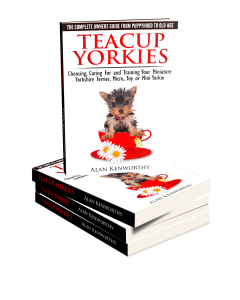 This page helps you with tips and advice on training your Teacup Yorkie puppy (or adult dog). Puppy classes are essential. Your veterinary surgery will be able to tell you when and where your local puppy class is held. Many practices actually run their own puppy classes in order to help new owners socialize their young dogs. If you decide to take your micro Yorkie to a puppy class, it is important to remember that puppies of all sizes are going to be there. Because your own puppy will be very small and quite fragile, you must take care that he does not get hurt. Some puppy classes actually cater to size of dog and whilst this is a good idea, in some ways it is still important to ensure that your puppy gets a lot of positive experiences around dogs of all sizes. This socialization will help him to grow up into a well-rounded and confident adult dog. When choosing a puppy class, look for one that is run by an experienced, positive and reward-based dog trainer. That means the class must be punishment free, happy and confidence building for your Yorkie. We will talk more about dog training soon. Remember that each and every learning experience, from the moment you bring your puppy home, will create the adult dog that your Yorkie will become. Many puppy classes only last a few sessions. Some can then point you in the direction of an equally beneficial, older dog training class. 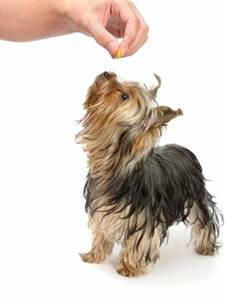 If you want to carry on with the training of your Yorkie, then more classes may be just the thing for you. The first thing to do though, before deciding what to do next with your rapidly growing puppy, is to decide what you want from him. In other words, how do you want your teacup Yorkie to behave? Some dog owners enjoy a cheeky little dog and allow some pushy behavior. In my opinion that includes us, the teacup Yorkie lovers. Other dog owners, however, lose control of their dog’s behavior, which can end up causing serious problems. It is all very well having a dog that is a bit cheeky, it can even become amusing, but if that behavior becomes a problem, then something must be done. The dog must learn appropriate behavior for both his and yours, his owners, sake. So, do you want a Teacup Yorkshire Terrier who will jump through hoops? A dog who knows a repertoire of a thousand impressive tricks? Or are you happy with a dog that will curl up on your lap when asked to and come back when called? It is important to know this before moving on with your dog training. After all, if you don’t know how you would like him to act, how is your dog going to know? More sections will be coming soon – including: crate training, potty training, how to sit, litter box training, house training, toilet training, how-to-videos and much more! My 6 week old yorkie is really well behaved, she wakes us up at night to go outside to wee and has had almost no accidents in the house. We have noticed being persistent and only giving her food and water at specific times helps a lot. My teacup Yorkie is great. Discipline is necessary just like any other dog. When it come to going to the bathroom, if he or she is not going where he/she is supposed to, make it known to the puppy and discipline it. It is important to reward good behavior. If it goes where it is supposed to, reward it. It’s not rocket science. Make the dog respect you and show it respect. I will definitely have to find a good, reputable dog trainer to purchase my new puppy from. I definitely want my new yorkie to be treated well before I buy them. 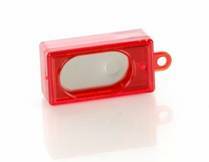 Plus, this would probably yield a better-behaved dog too! Have a friend with a teacup yorkie. Have had almost two years. Cant get it potty trained. Tried pads to no avail. Its a male and he pee’s oftenly. She will take him outside frequently and within five minutes he pee’s inside. She discipline’s him for it by telling him “bad” and puts him in his kennel. I just got my first Teacup and while I feel defeated I also see some wins, first my little Milo goes on the paper almost every time to pee-pee, however the poop is another story. I’m thinking of crating but i don’t understand it. While in the crate are they there to what? The crate is a place to sleep and often helps them to relax and feel safe while you are out etc.